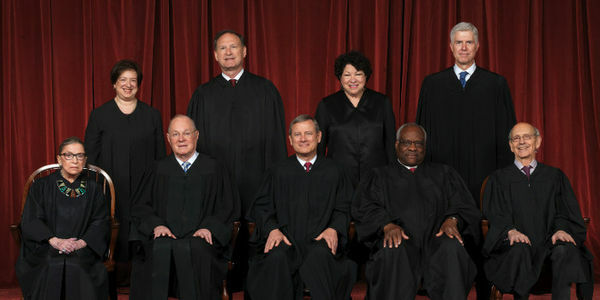 Supreme Court Justice Anthony Kennedy has announced his retirement at the end of July. His vacancy leaves a critical open seat on the Court in the irresponsible hands of Donald Trump and Mike Pence … and raises the already-intense stakes for LGBTQ people, women, communities of color, and the nation as a whole. We cannot allow this administration to undo the progress we've made. That's why the Human Rights Campaign is calling on the Senate not to consider the next Supreme Court nominee until after the American people vote in the midterm elections this November. Donald Trump has signaled his intention to nominate a Supreme Court justice who would undermine significant progress -- from health care to LGBTQ equality to the Constitutional right to safe, legal abortion. HRC calls on Senate Leadership to allow the American people to decide at the ballot box whether they want a nominee who will undermine their fundamental rights and freedoms -- or one who will protect them. As this process moves forward, HRC will work in coalition with civil rights groups across movements to advocate for the appointment of a fair-minded Constitutionalist to the nation's highest court. Take action with us today!